Rian is using Smore newsletters to spread the word online. Breathe DEEPLY and SLOWLY and then REPEAT. This is my mantra for the upcoming week because there is LOTS going on at Evergreen. Details are listed below in the Upcoming Events Section. I'm looking forward to next Wednesday where we are going to have an "Innovation Cafe" during Academic Seminar. We will meet in the library and you will have the opportunity to visit various "Tech Stations" to collaborate. We will meet at 8a.m. in the Library. 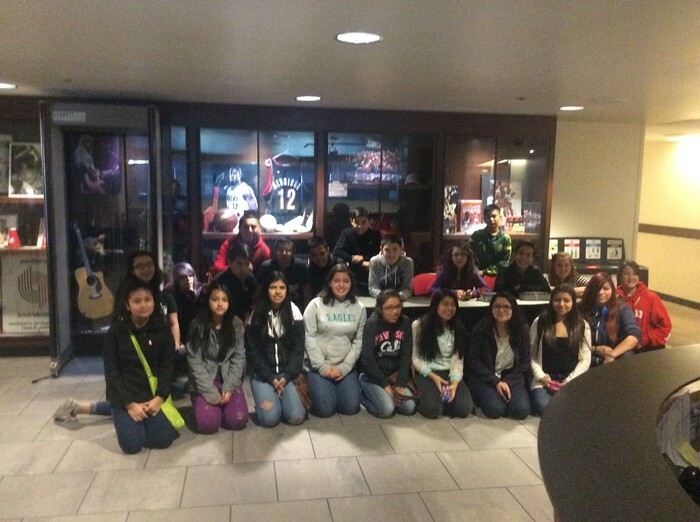 Our AVID students visited the Portland Trail Blazer's Moda Center and PSU this week. Thanks to Kathy and Kevin for putting together an educational trip. 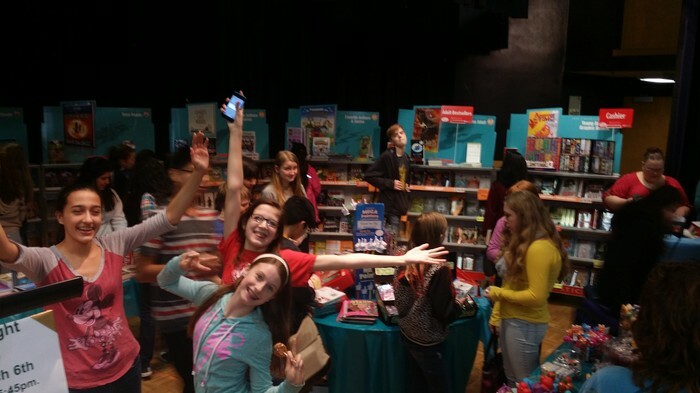 Students enjoyed perusing through the Book Fair all week long. Thanks to Sarah Liddell for organizing! 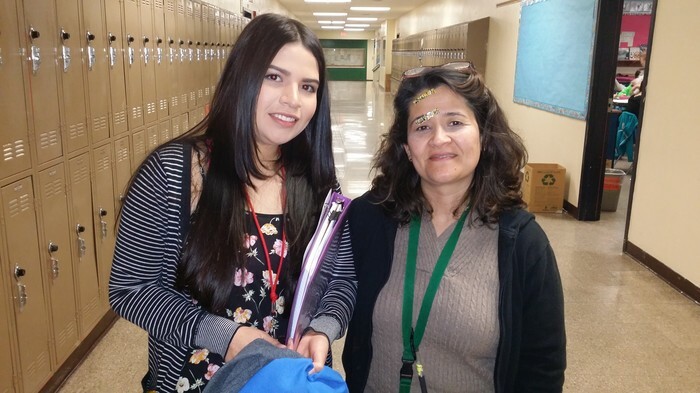 We are excited to have Nohely join EMS as she replaces Yanette Ayala in our ESL program. Nohely is a graduate of Century H.S. and is already proving that she is tough! March 10th, 12th and 17th we will host WaCo Juvenille Counselor Michael Buttice to cover internet safety. Celia will be sending out the groupings. Occurs in the Eagles Nest. 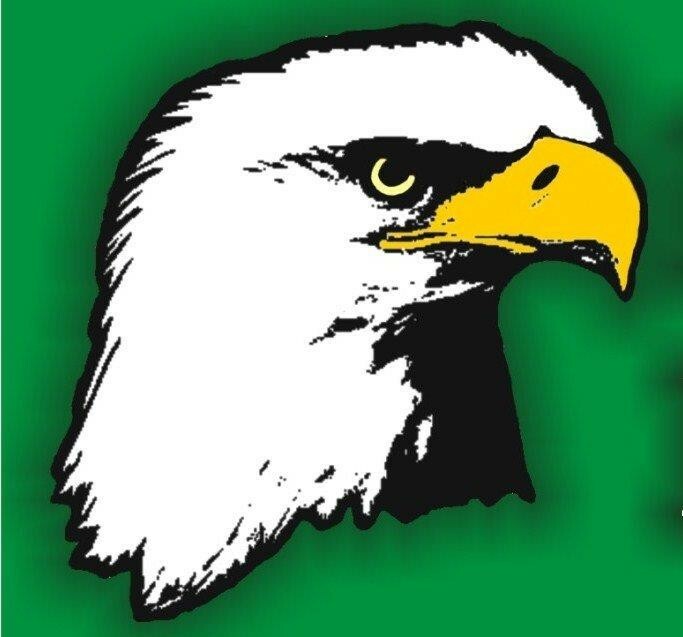 All 7th Grade Teachers on deck for Tuesday March 10th and Thursday March 12th. Report to Celia by 6:45p.m. The event starts at 7p.m. with a Welcome in the Eagles Nest. Glencoe H.S. will be visiting us for our assembly Friday afternoon. Milagro Theatre Production for 8th Grade. During Social Studies this week all students will be working with the Milagro Theatre group with a culminating activity of seeing a play on Friday during 2nd and 3rd periods. Kristi Larsen will have the groupings of students. This is an optional event for the students as they may choose to attend the play or stay in class if needed. Wednesday March 11th we will be inducting in our next group to the NJHS club. Thanks to Bonnie W. for all her work to give students this glimpse into National Honor Society. Preparing all students to SOAR to New Heights!